The new Richfield carriage home design offers a maintenance-free, energy-efficient lifestyle with 1,450 square feet of thoughtfully designed living space and three bedrooms, two-and-a-half baths and a two-car garage. The Richfield provides the best of carriage-home living with abundant private living space, a sense of community and unsurpassed value. The Richfield welcomes guests with a private side entrance leading to the combined great room, dining area and gourmet kitchen with 6-foot, functional island and convenient pantry closet. Perfect for entertaining, this home design keeps hosts in the center of it all. Additionally, the main level features luxury vinyl plank flooring throughout, plenty of natural light and a sliding glass door leading to the backyard. The upper level boasts two secondary bedrooms, laundry room and owner’s suite with walk-in closet and private bath. Between the closets, kitchen pantry and two-car garage, the Richfield offers plenty of storage space throughout. This villa means value! 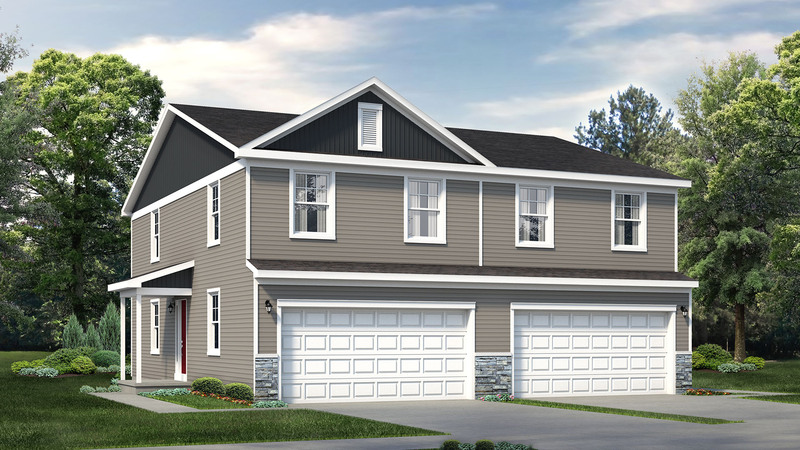 The Richfield is available at Harvest Glen, a collection of new Duncansville homes priced from the $214,900s. This collection of maintenance-free carriage homes is located just minutes from I-99 and Plank Road, just outside of Hollidaysburg. Harvest Glen is surrounded by plenty of shopping, dining and entertainment options with Allegheny Creamery & Crepes, Black Dog Café, Logan Valley Mall, Logan Town Centre Park and Park Hills Country Club all a short drive or bike ride away. In addition to a convenient locale, residents also enjoy included lawn care and snow removal. Harvest Glen is located at 214 Barnwood Court in Duncansville. To learn more about the Richfield or other available home designs from S&A Homes, call 1-855-SAHOMES1 or visit www.SAHomeBuilder.com.